Channels are fast becoming an integral part of banking activities. In this age where customers enjoy best possible services across all industries, banks have to concentrate on and optimise their channel management strategies so that they are able to ensure customer satisfaction and loyalty. Data indicate that in the period from 2012 to 2017, branch banking is estimated to decline by 6% while online banking is set to increase by 7%, indicating a paradigm shift from the traditional channels like the branch to online. The constant innovation and increased competition also makes it essential for banks to manage their channels more effectively. In the present age, customers are spoilt for choices and will not hesitate to switch to banks which give them better services. The need of the hour for banks, as far as channels are concerned, is to know the pulse of the customer as the traditional banking system which focusses on transactions through a branch is fast diminishing. With connectivity at an all time high, banks today are exploiting channels like mobile and social media to reach out to their customers and ensure that they have an enhanced, effective and seamless banking experience. With the convergence of internet and telecommunication devices in the form of hand-held, banks have to upgrade their channel management strategies to capitalize on this trend. To warrant an effective system of channel optimisation it is imperative that banks have access to important information related to channel usage across the diverse spectrum of customers that they cater to. Banks must ensure that they have a robust information database which allows them access to information like channel usage, customer predisposition to using the channel, customer behaviour etc. This data is then put through analysis frameworks to arrive at the right mix of channels that can be utilised. A closer study of the key aspects of channel optimisation strategy brings into focus the concept of analytics. Analysing data and discovering meaningful patterns that help the banks take informed decisions, makes analytics a crucial factor that will help to keep banks at the top of their game. When used effectively, analytics can help banks identify the channel usage pattern, identify lesser used channels and augment extensively used channels to arrive at suitable and competent customer focus initiatives. Banks should take measures to identify the key business divers that affect factors such as profit/loss, operational costs, customer satisfaction and also focus on factors that will accurately predict the chance of customer’s channel transition and direct the right customer to the right channel to maximise profits and customer satisfaction. A phase wise approach is what it takes to achieve this objective. The first phase or exploratory phase aimsat focusing attention on garnering information on consumer behaviour, channel usage etc.The data from the various channel sources are collated and put through analysis frameworks to arrive at patterns and analytical information on what the channel usage looks like. Then comes the second phase which focuses on appraising, analysing and gauging the information to arrive at decisions which will assist the bank in retaining and nurturing existing customers through effective channel optimisation strategies. 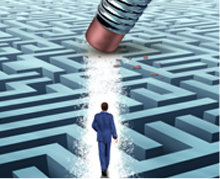 Channel optimization has a plethora of benefits to offer. On one hand it helps in cost reduction by getting accurate information about customer perceptions and needs and accordingly shifting from high cost to low cost channels. On the other hand it helps the banks in customer acquisition through a thorough understanding of the customer life time value by segmenting customers on the basis of channel usage information. A key trend that is fast emerging is Multi-channel integration. Multi-channel integration is poised to take over the banking sector as more and more banks are open to explore this option. Many banks have already taken a step in this direction by designing collaborative channels, aligning channels, customers and transactions, and building a technological platform that enables and accelerates multi-channel engagement. It makes good sense for banks to remain abreast of the changes happening in the technological landscape and align their operations effectively to service customers. This would make the difference between success and failure in times ahead. Sethuraman (mailto: [email protected]) manages Retail, Travel and Online Analytics at Happiest Minds. 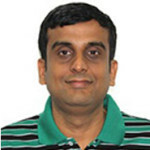 Sethu’s primary areas of expertise include marketing, risk & web analytics like Finance, Retail, Travel and Technology. Sethu holds a PhD in Systems & Finance from Indian Institute of Management Calcutta and is regular guest speaker on Analytics and Strategy. Sethuraman Janardhanan Sethuraman (mailto: [email protected]) manages Retail, Travel and Online Analytics at Happiest Minds. Sethu’s primary areas of expertise include marketing, risk & web analytics like Finance, Retail, Travel and Technology. Sethu holds a PhD in Systems & Finance from Indian Institute of Management Calcutta and is regular guest speaker on Analytics and Strategy. Cognitive Computing – Will it Change The World as We Know it ?